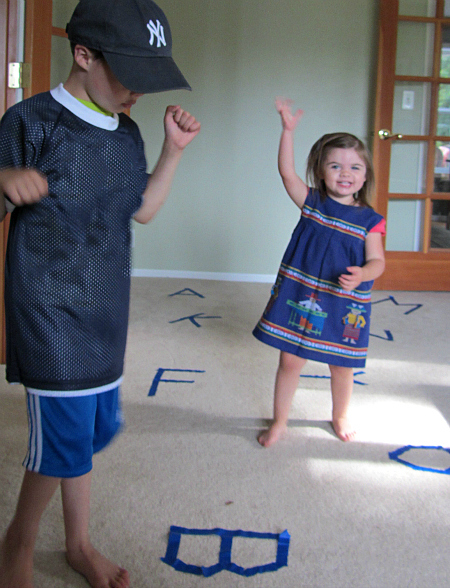 This is a super simple alphabet game that gets kids moving and grooving while they learn their letters. 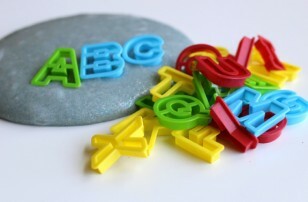 This is part 14 of our Alphabet For Starters series, a series of alphabet activities that use play and exploration to introduce and learn letters. 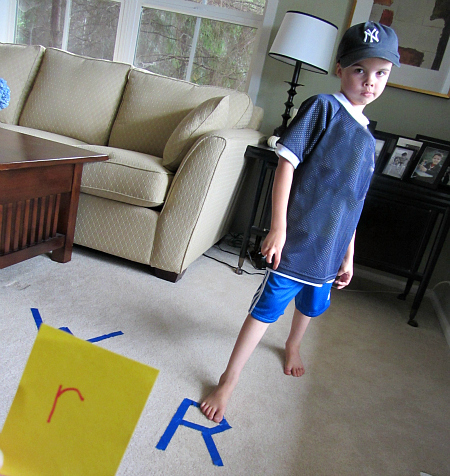 We did the game as a lower and uppercase match but you can adjust it for your needs and child’s abilities. To be honest I wasn’t exactly sure if I was at the target level of learning for my daughter , I wanted it to be challenging but attainable so I enlisted her brother to help. He loved being her guide even though she only needed him a couple of times. Soon he had the controls and I went to warm up my coffee. 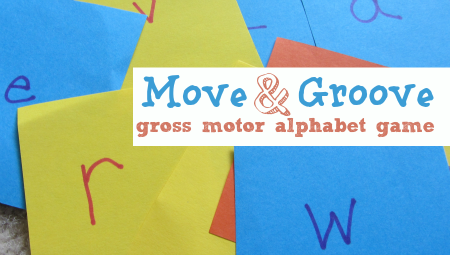 Here is how you can make your own gross motor alphabet game. Gather your materials. 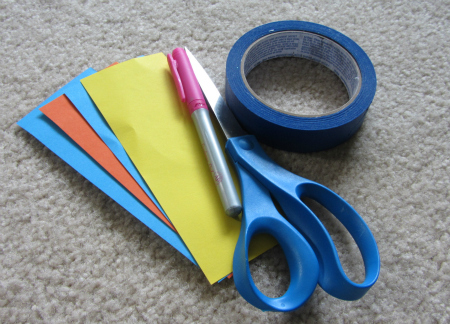 You will need some paper or card stock , a marker, painters tape and some good music your kids will dance to. Ours was Call Me Maybe . 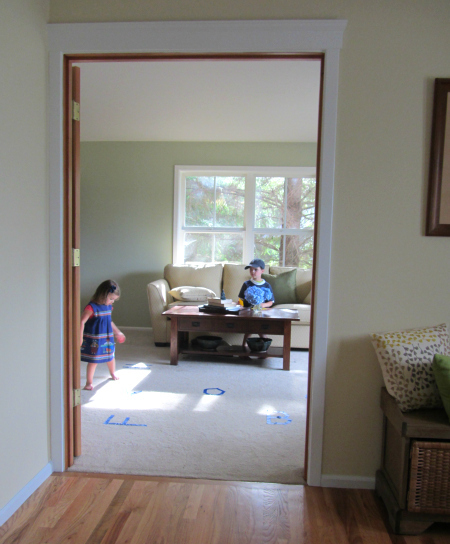 Start buy pushing some furniture out of the way and making letters our of the painter’s tape right on the floor. Don’t feel like you have to do all the letters. 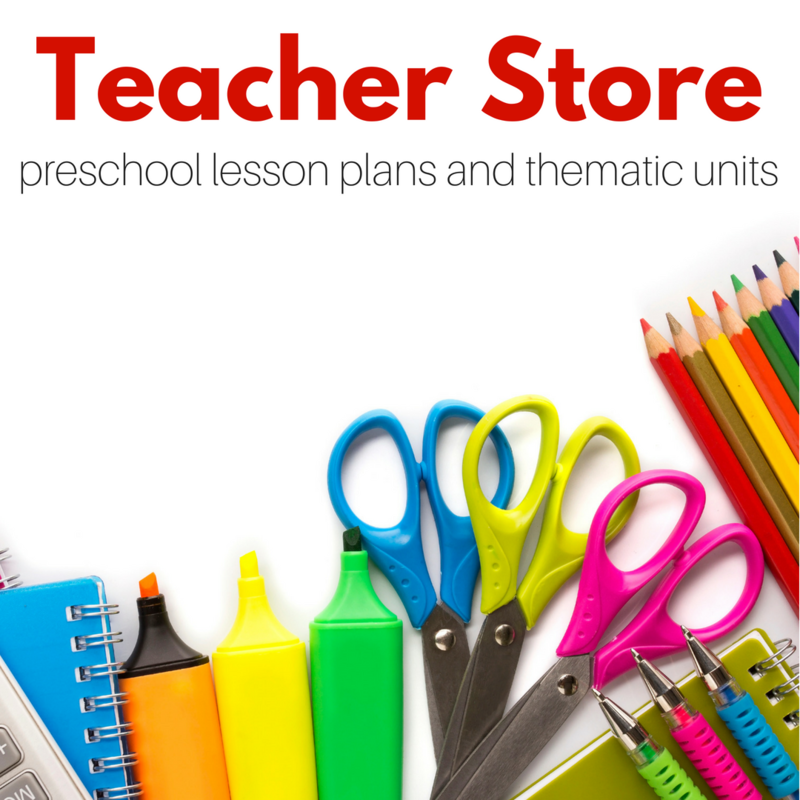 Every lesson doesn’t need to cover every letter. I admit I did mostly ones that were easier to make with tape. 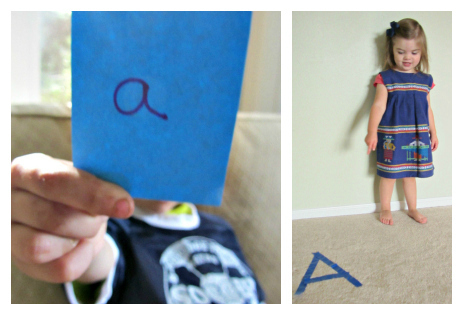 Write the lowercase letters on the paper. 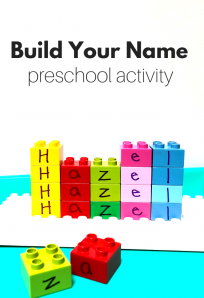 ** Adaptations ** You can also write the same uppercase letters and simply have your child match them or for even older kids you can write a word and have them find the first letter. Invite the kiddos. 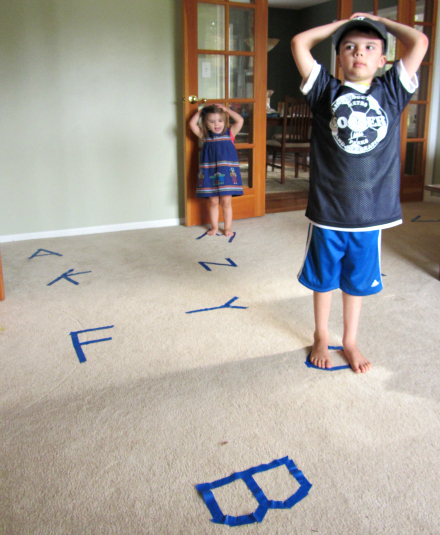 To have them start I have them find the first letter of their own names- hands on heads, eyes on me. Music starts and they dance ! Music stops and I hold up a letter. This went on for a long time and after it was apparent that my daughter understood and could do most of the letters herself my son wanted to be what he called the ref. So they played solo. I went for coffee and popped my head in every now and then. We’d play again but my daughter sneaked into the living room after dinner last night and tore up all the letters. Maybe sometime this week I will put new ones we didn’t have down and we’ll play again. It was a hit and both my 5.5 year old and 2 year old liked it which is not always the case. 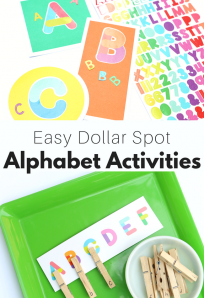 Reading alphabet books has made a world of difference for both my son and my daughter learning their letters and choosing good, interesting and visually awesome books helps. 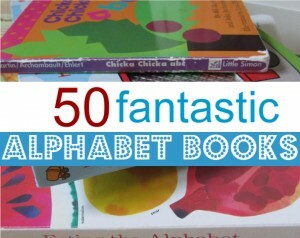 These 50 alphabet books are my favorites . 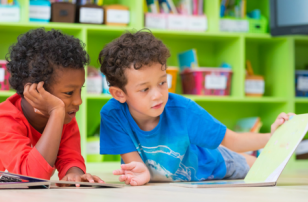 Many have themes and choosing a theme that appeals to your child is a great way to get more reluctant lap sitters or book listeners involved. This looks like so much fun! I love the photo of your kids dancing. Very cute idea. I always love any game where movement is combined with learning. Here is a tip to make it easier to set up – buy a roll of rug gripper at dollar store. 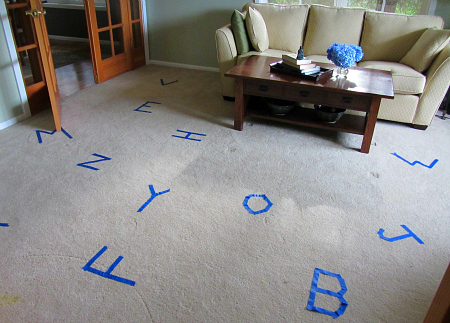 Cut it up and write the capital letters on each square of rug gripper. Now you can lay them on the floor and they won’t slip. 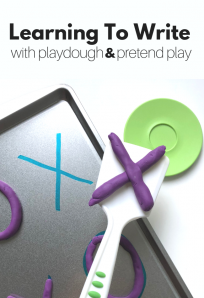 Just pick them up and store in a plastic bag for the next time you want to play. I could kiss you – Thank you for this tip! Or use large pieces of craft foam. Great idea…I’m going to try it for a children’s program at the library where I work. Great idea, that way this game could come out at any time! I love tape letters! My girls love them! 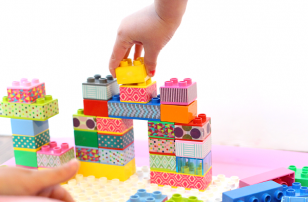 I have some one-on-one time with my 5 YO tonight…we are going to do this!! Thanks! What a great idea. I love it. We will totally be doing this soon. I love that you added dancing to this activity for even more movement. How can anyone stand still when such rad music is playing? It was a great way to get them to shake off those mid afternoon crazies. Fun!! I love that this can so easily entertain (& teach) kids of different ages! This will definitely go in our “school time” schedule this week! Its a great kind of idea I love all the tips you shared here..
Love this idea. And I think for numbers I will do stickers on a card that they have to count and find the right number for on the floor! Awesome! Happened upon your blog. Lovely and so creative. 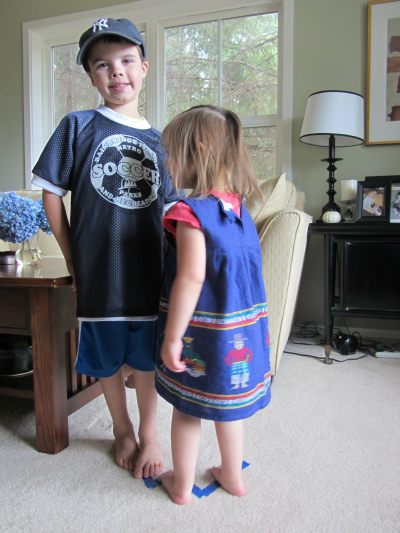 But I especially loved that Guatemalan dress on that darling little girl. Thank you – we sadly have never been to Guatemala but we bought it at a market in San Antonio, Texas last spring. It finally fits! do y’all live in TX too? I’ve been sort of following your site for some time now.. I have a soon to be five yr old girl and she will LOVE this game! THANKS! No but my husband grew up in Texas and we visit as often as we can. This is a wonderful idea, thanks for share it. I love it. Thank you sooo much for sharing the super easy and yet so so much fun idea!! After recognising the letters, dancing and retracing each letter shown, we took our cardboard outside on the veranda and started drawning upon the letters with chalk. Lovely!!!! We actually played with the letters of our names and so F. (3y.) 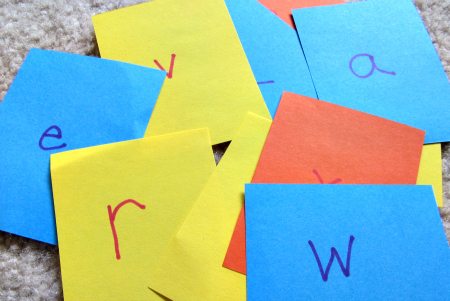 quickly associated her letter with her name and tried associating other letters with names of relatives or friends!! She even wrote the first letter of her name!! Lovely blog, brilliant ideas, thank you very much once more!!! !